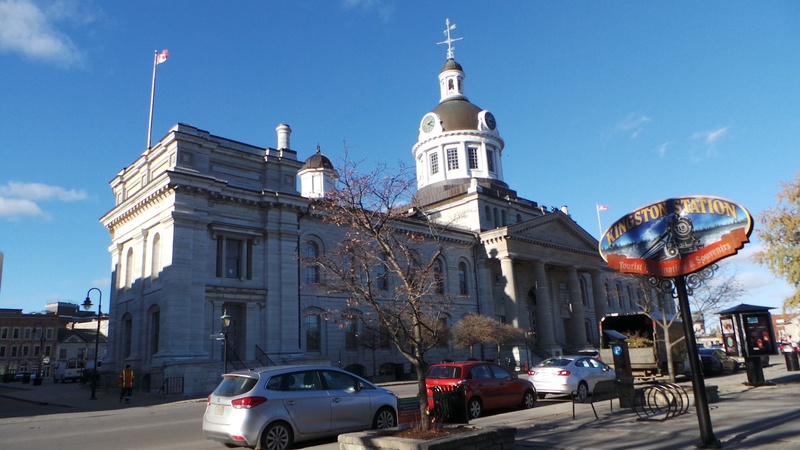 I recently visited Kingston, Ontario for work-related purposes. 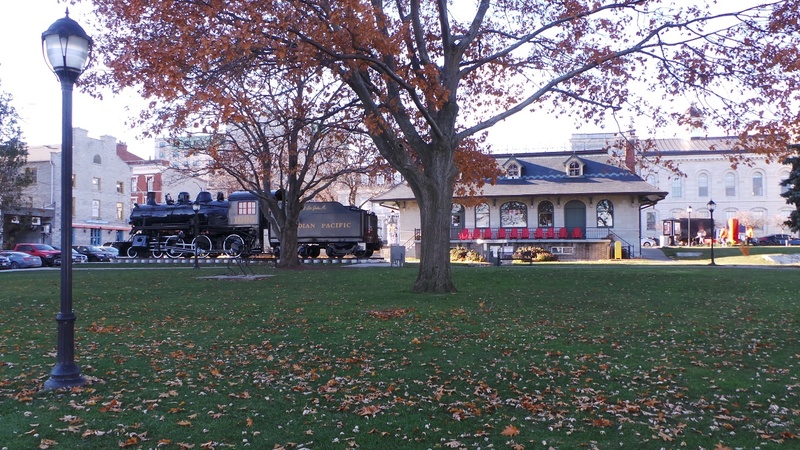 Kingston is a city located around 300 kilometers east of Toronto, and it took me 4 hours to arrive there. 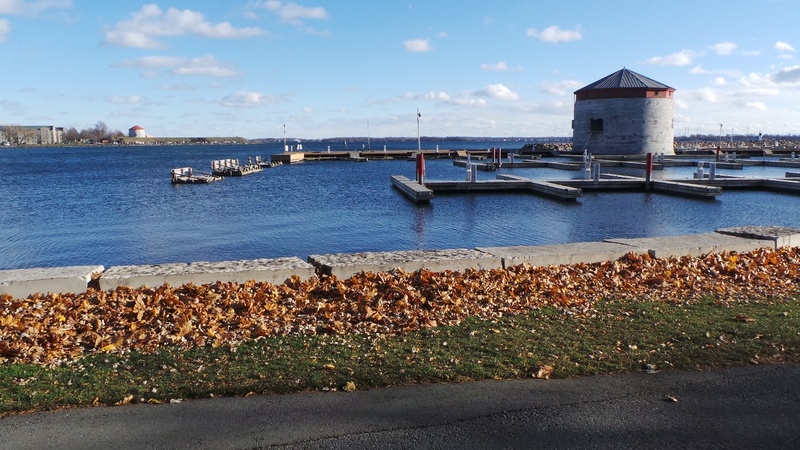 Kingston is surrounded by two rivers, The Cataraqui River and St Lawrence River, Lake Ontario, and Thousand Islands. 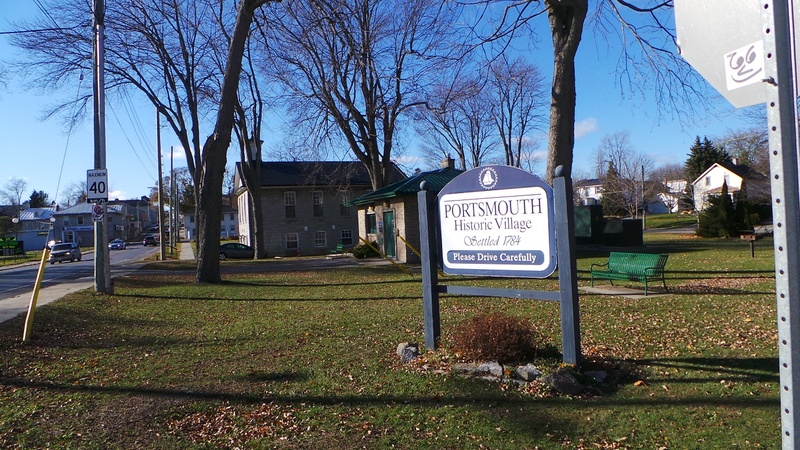 There are tours and ferries to enjoy these spectacular sites around town. 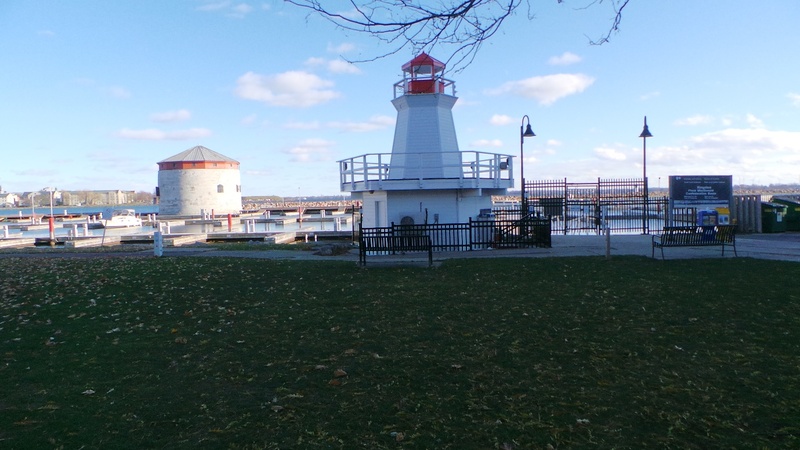 Kingston is where Lake Ontario meets the Rideau Canal and the St Lawrence River. 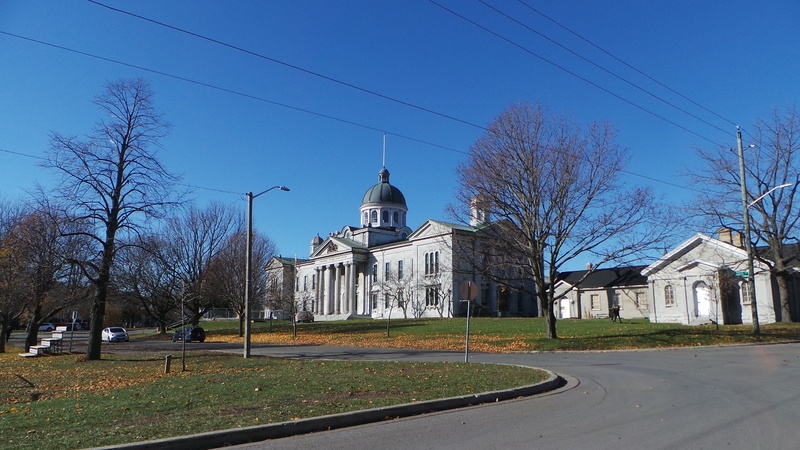 When I arrived, I realized how many historic buildings there were all over Kingston. These buildings are built out of brick and stone, and most of them, made out of local limestone. The history of the region says that the reason why they decided to rebuild the town in bricks and stone, was to avoid fires to occur, like the huge one that destroyed the city in 1840. 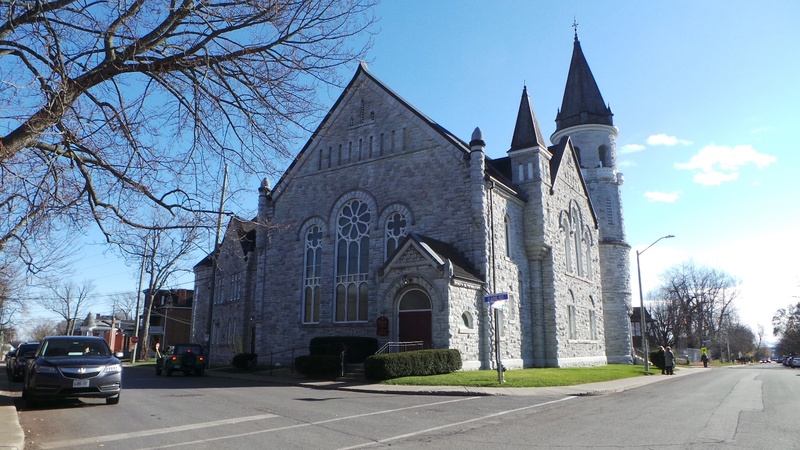 After that devastation, the city prohibited to build houses and buildings out of wood, and that is why Kingston is known as the Limestone city. 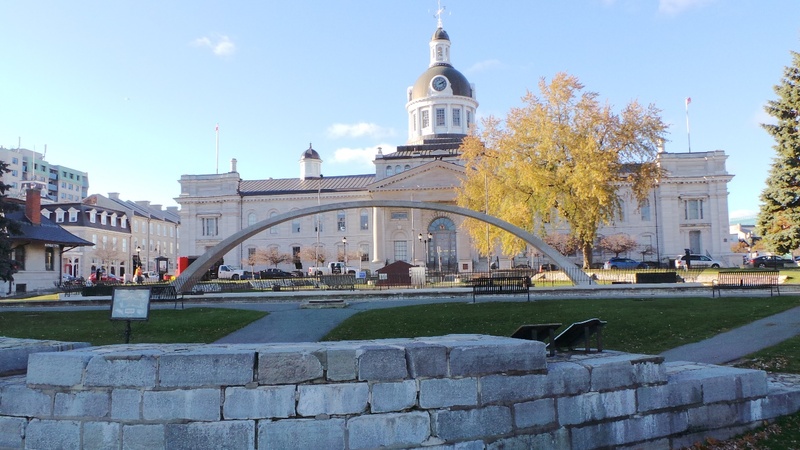 I learned that Kingston was initially established in the 1600s on First Nations lands named Katarowki, and the city was called the King’s Town in honor to King George III, therefore the city was named Kingston in 1788. Kingston was the home of aboriginal nations: Algonquin, Nipissing, Iroquois, Mohawk, Oneida, Onondaga, Seneca and Mississaugas. 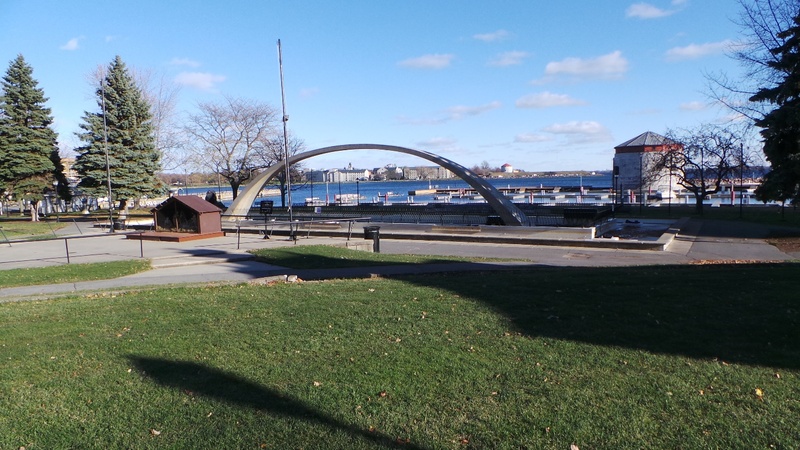 I learned that Kingston was the Capital of Canada between 1841 and 1843, however it lost the honor due to its close proximity to the United States border. At that time, Kingston city had supreme Military importance. I had the opportunity to walk at night on King, Ontario, and Princess Streets. The city was full of elegant hotels, fancy restaurants, bars and taverns and they were all packed even though it was in the middle of the week. 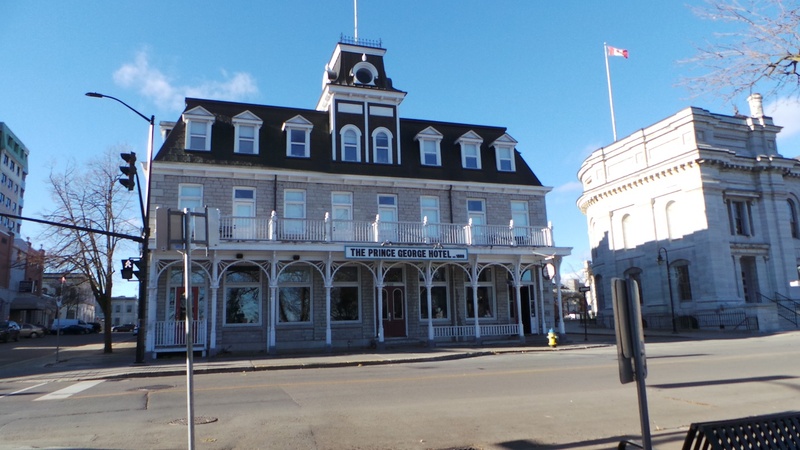 I had dinner in one restaurant named Dianne’s Fish Shack & Smoke House, located across the Confederation Park, and I could hardly enter to the place as it was full, but I managed to eat at one of the bar tables. 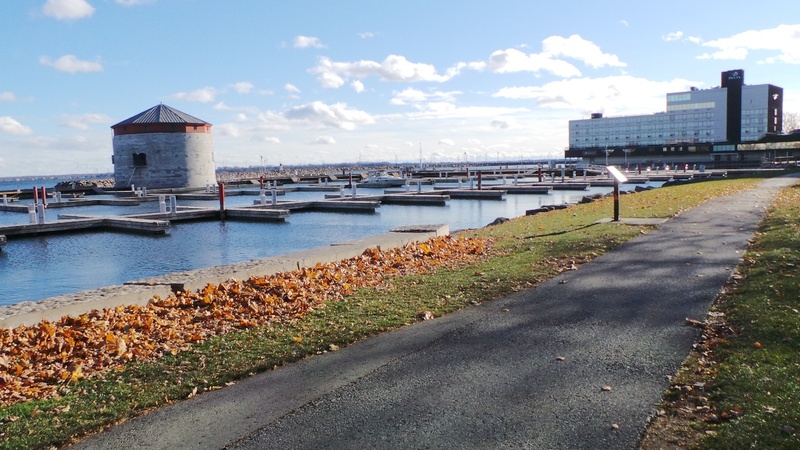 I visited the Kingston Marina, Kingston City Hall, Kingston Frontenac Court House, the light house, and Kingston Fortifications-National historic Site of Canada. 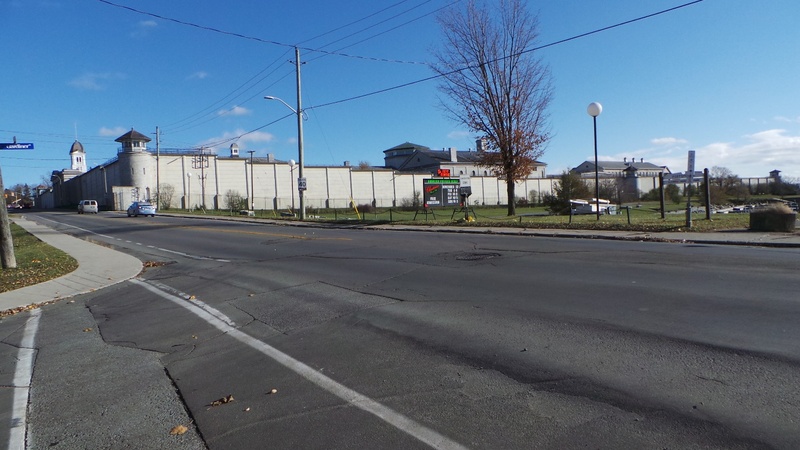 I passed by the Kingston Penitentiary (once one of Canada’s most notorious correctional facilities). I also visited the Joyceville Correctional Institution located around 25 kilometers northeast of Kingston. 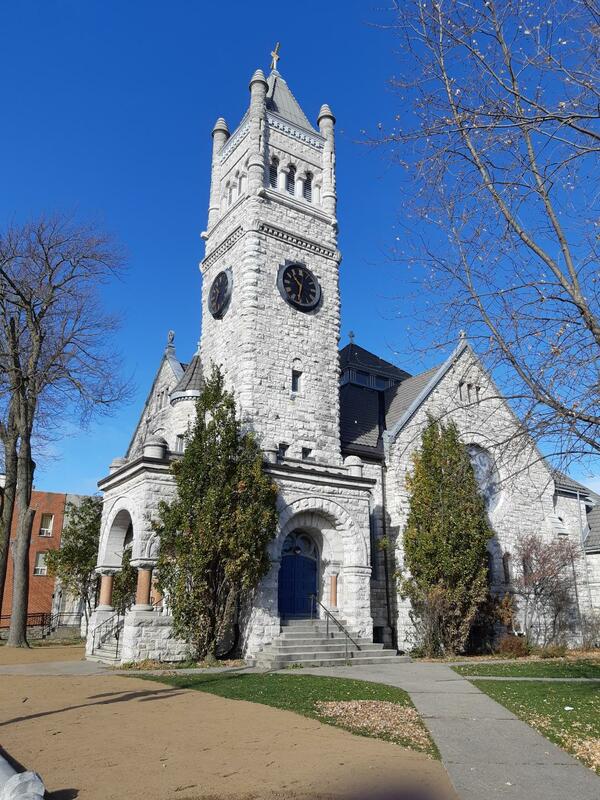 I noticed that Kingston is also home to a large number of gorgeous Cathedrals all over the town, built in beautiful limestone and with domes that can be seen from all over Kingston. 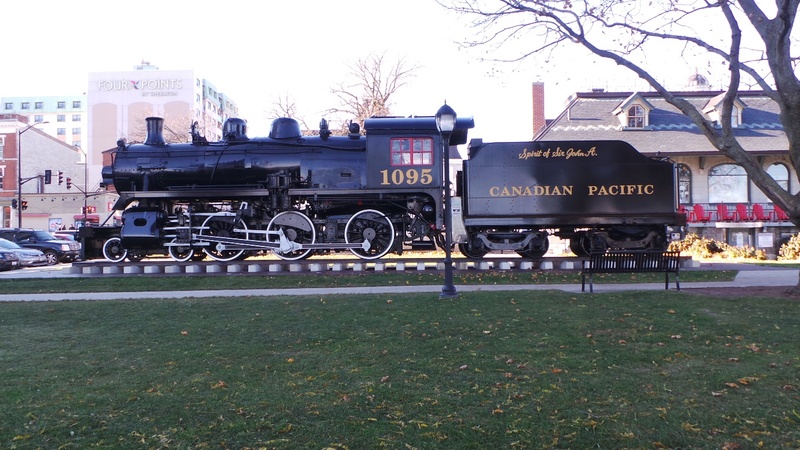 The Canadian Pacific train/locomotive besides the Visitor Information Centre is a great tourist attraction at the Confederation Park, and it was once an active train yard. It is a great place for taking souvenir pictures! The waterfront was very windy and cold even though I took this trip in the middle of November, but with cold and all, it was all worth it! 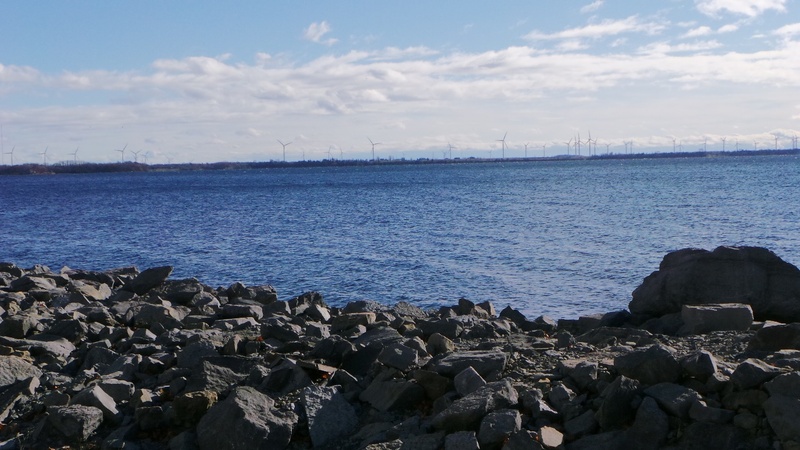 There are spectacular shore views at the historical heart of downtown at the Confederation Park/Basin. 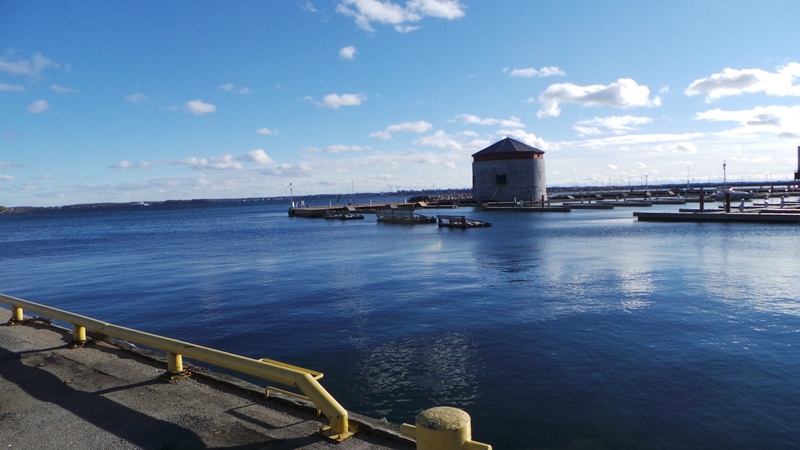 I was able to appreciate the Fort Henry and Murney Tower in background towards the lake view facing south. At the center of the park there is an arced water fountain and the City Hall in the background facing north. 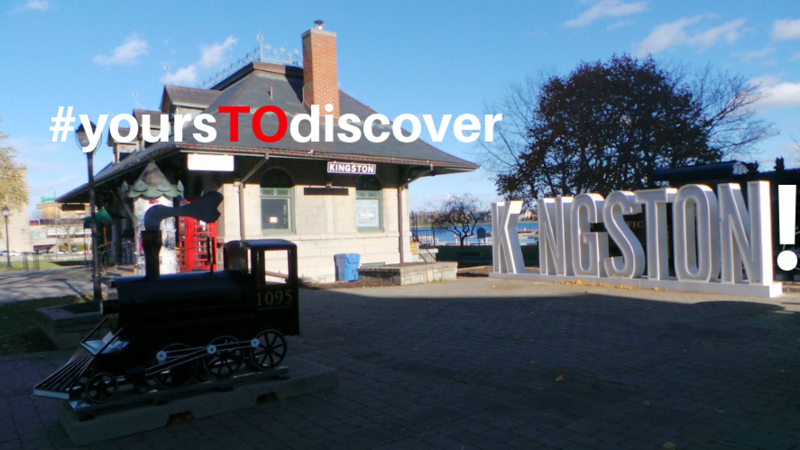 There are still many places to explore in Kingston, which I will continue doing in my next trip!